Home » How to Guides • Internet » How to Find which WordPress theme other Site or Blog is using? Have you ever wondered what wordpress theme the other site uses, if yes then you are at the right place. Here in this post I will tell you two methods, manual and automatic way to find wordpress theme of a website. The manual way need no tools but just your browser and the automatic way involves tools called wordpress theme detectors. 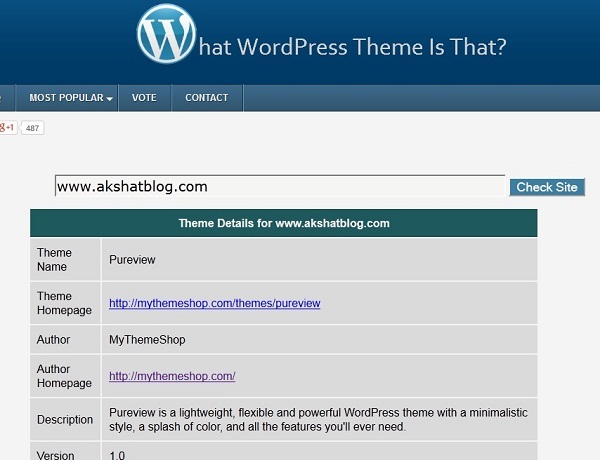 1 Why to find WordPress Theme of other Website? 3.1 How to use WordPress theme detectors? Why to find WordPress Theme of other Website? 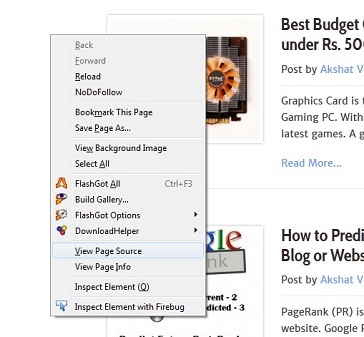 Curiosity – You might be curious to know what themes do big and Popular Blogs uses. You want that Theme – You like that theme on the other blog and you want it for your blog. The theme can either be free or premium. If it is premium then you have to buy it from its seller or company. Knowledge or Research – You want to know it for your knowledge purpose or to perform some kind of research on wordpress themes. The manual way to find the name of the theme is by looking at the source code of the index/front page of the website. Right click on the website page in your browser and select view source code option. 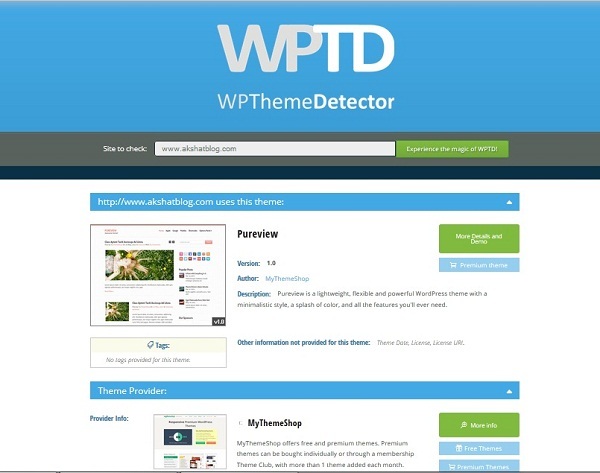 How to use WordPress theme detectors? 4. The information about that website wordpress theme will be displayed along with some of the plugins used. Note: This tool will not work on highly customized version of wordpress themes. Wow ! This is simply amazing. I really wanted to know how to figure out this query. I am really thankful to you for sharing this information.